1What is the Difference Between Oracle and Tarot Cards? 2Can Tarot and Oracle Cards Predict the Future? Mysterious, esoteric, and ancient in origin, tarot and oracle cards are steadily increasing in popularity. And there’s a good reason for that … they work! No, I don’t believe tarot and oracle cards can predict the future as the future isn’t set in stone. Neither do I believe that the reason oracle and tarot cards are rising in popularity is due to such an antiquated use as fortune telling. Instead, from what I’ve observed and experienced, tarot and oracle cards are rising in prevalence because they are powerful gateways to the inner self and unconscious mind. And in this day and age, the need to connect with our inner selves is increasing in intensity and desperate necessity. Ultimately, oracle and tarot cards are spiritual tools that anyone can use. If I am to list one tool that I consult and use each and every day, it would be my tarot and oracle cards. Why? These deceptively simple cards are like fractals: the deeper you meditate and reflect on a card, the more you discover about yourself. This makes oracle and tarot cards powerful meditation tools that are ideal for increasing one’s spiritual and psychological growth. 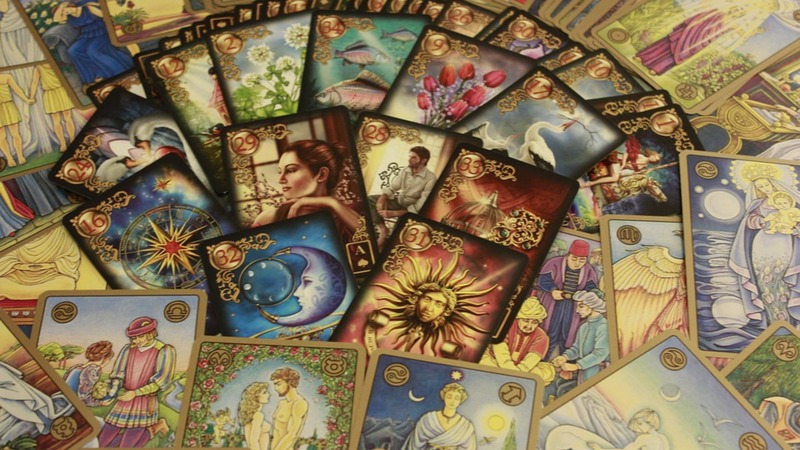 Are you curious about dipping your toes into the world of oracle and tarot cards? Read on. If you’ve already tasted the sweet nectar of this amazingly illuminating tool, I’m sure you’ll find something interesting to feast on below as well. 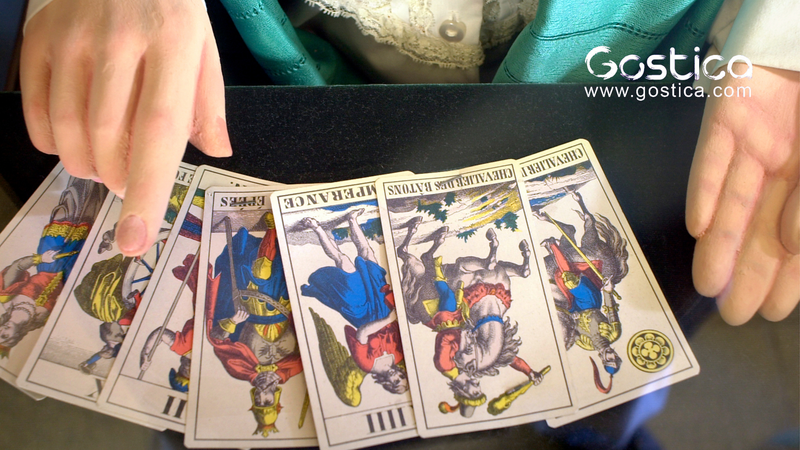 What is the Difference Between Oracle and Tarot Cards? Let’s start off with the basics. Oracle and tarot cards are similar in nature but not the same. The main difference is that tarot is a system that spans back millennia and is divided into the major and minor arcana, and four suits: the swords, pentacles, cups, and wands. Each suit consists of ten cards and four ‘court’ cards (page, knight, queen, and king). Oracle cards, on the other hand, are newer inventions and they generally don’t have a set structure making them more fluid. Generally, it is up to the creator of the oracle deck to create some kind of framework or system (if any). Tarot takes a bit of time and dedication to learn as each card has various layers of meaning. Tarot also has upright and reversed meanings (which, translated, means that if you pull a card upside down its meaning will change). Although tarot sounds complex, it is a deeply intriguing system that overlaps with numerous ancient systems such as numerology, astrology, the Kabbalah, and alchemy. I find that it provides more intricate and multi-layered answers and insights than oracle cards. Unlike tarot cards which are named according to a clear-cut system (e.g. “ace of pentacles,” “three of swords,” “King of Cups”), oracle cards tend to be named in more simple and straight-forward ways. Common examples include “beginning,” “ending,” “courage,” “transformation,” “healing,” “wisdom,” “balance,” etc. Oracle decks are generally easier (in my experience) to use as meditative tools than tarot decks and tend to give an overview of the problem or situation at hand that you’re seeking guidance for. Can Tarot and Oracle Cards Predict the Future? Short answer: nothing can “predict” the future with 100% accuracy as the future isn’t set in stone and we have free will to change it. Tarot and oracle cards do however show the most likely outcome based on what is happening in our lives within the present moment. There are many explanations for how and why tarot and oracle cards provide such unnervingly accurate or illuminating answers. Some believe that they are communing with ancestors, spirits, or personal etheric guides when doing readings for themselves. Others believe that the cards themselves have power. I, however, don’t subscribe to these theories. Instead, I prefer to adopt a psychospiritual approach. When using a tarot or oracle deck, I believe we are connecting to our unconscious minds which are a bridge to the collective unconscious, or Universal Mind. Within our unconscious and shared unconscious (what psychologist Carl Jung called the ‘Collective Unconscious’) resides our essence, our wisest self, or our true nature (Soul). I believe that when we are communing with the images on these cards, we are triggering deep instinctive and timeless knowledge within us and inciting it to rise to the surface. In other words, our minds are like deep lakes. We tend to live on the surface of this lake in everyday life, but tarot and oracle cards are like fishing lines that we throw into the deep to draw up the wisdom we need. While the language of the conscious rational brain is words and verbal descriptions, the language of the unconscious is more ancient and pre-verbal. Images, archetypes, and symbols all form the language of the unconscious – and they also simultaneously form the way in which we can get in touch with the unconscious. Because tarot and oracle cards are primarily image-based, they are one of the most powerful ways of connecting with the wisdom buried deep within us. Please don’t be alarmed. Stories of demonic possession as a result of using tarot are the result of narrow-minded and superstitious misunderstandings spread by religions such as orthodox Christianity. Tarot is a tool of self-exploration – it’s like having a coach or teacher by your side – that’s it. Can it be used to lift the veil between this world and the next? Maybe. But you only get out of tarot what you put into it. In other words, use it as a self-discovery and it will be just that. Many things in life can be used to dabble in the psychic arts – just look at cups and tea bags (or the divinatory practice of tea reading). Are you going to stop drinking tea just because someone out there uses tea drinking to communicate with spirits of the dead? I don’t think so. Tarot and oracle decks are quite literally pieces of card with images on them. There’s nothing spooky or satanic about them. As with anything in life, they are ultimately what you make of them – nothing more, nothing less. So if you already have a mind biased toward them, it might be better to seek out another inner work tool (such as mirror work). Overly relying on oracle and tarot cards to make decisions for you. The cards are meant to supplement your decision-making, not replace it. Don’t be lazy. Don’t try to bypass your responsibility by dumping that onto the cards. Using the cards to hear and understand what you want to hear/understand. In other words, using the cards to try and tiptoe around the truth or receive feel-good advice only. Using the cards to try and “read” other people’s minds or spy into their lives. The accuracy of such a practice is not only dubious but is also a waste of time. The best use of the cards is to explore the depth of your own inner self, not peek into the world of another. Being mindful of these pitfalls will help you to get the most out of your oracle and tarot cards. You don’t need to be a crazy deck collector like me to benefit from this self-exploration tool. Simply investing in one or two decks will help get you acquainted with this fascinating method of self-growth. When it comes to getting your own deck, forget the old myth that someone needs to gift you a deck first. This old tradition is very limiting. In the old days there was no convenient way to obtain a deck unless someone gave one to you, but these days we have the privilege of having access to an amplitude of decks. So go out there and find one you resonate with. What is the card stock like? Is it flimsy, thick, glossy or matte? How big are the cards and are they easy to shuffle? How deeply do you resonate with the images, theme or topic of the deck? Is the deck independently published or mass produced? Does the deck have borders or is it borderless (some people hate borders)? Does the deck have a guidebook? Does the deck have a good quality storage box? Ultimately what you are attracted to in a deck is very personal. Some people don’t need or read the guidebooks, while others absolutely must have an in-depth quality guidebook to get to know their cards. Some people like big cards while others like small cards. Some like indie decks while others prefer to stick to big-named decks. Some need a sturdy box while others don’t mind what the heck the deck comes in. You get the picture! Listen to YouTube videos (search for walkthroughs) and read reviews online before you purchase your deck. This little stack of cards may be staying with you for many years, so make sure you put in your research. I currently have a collection of around 50 tarot and oracle decks combined and they were either bought, traded online with others, or given to me. My personal preferences are matte medium card stock tarot/oracle cards that have good thick guidebooks. Anything pagan or nature-based I love (it must be my Celtic roots). There’s a multitude of deck themes out there – angels, vampires, animals, fairies, mermaids, mythological tales, goddesses, voodoo, shamans, unicorns … you name it and you’ll probably find a deck related to it. I know this all may sound overwhelming (it most certainly was for me!). But my advice is to start small. There are numerous well-known decks out there which tend to tick most boxes. I recommend starting out by researching those. You can look within your local bookstore or new age store. Alternatively, look online on places such as Amazon or Book Depository for some good deals. Each of these decks you can find on Amazon (all are linked) for you to explore at your leisure. Don’t be afraid to look outside of these recommendations either – I’m just providing a starting place so that you don’t get too overwhelmed! Let’s get to the meat of this article: how can we use these bits of card for deep inner exploration? Inner child work is the practice of connecting with, exploring, understanding, learning from, and healing your inner child. We all have a vulnerable place inside of us that sees the world with childlike wonder and an open heart. Many of us have lost touch with this soft part of ourselves or have suppressed the inner child due to trauma or early life abuse. Reconnecting with your inner child is one of the most profound forms of inner work you could ever commit to. It truly creates deep transformation if you stick with it. What I love about using tarot and oracle cards for inner child work is that it can be so eye-opening, yet nurturing and supportive. Depending on the deck you use, inner child work can be no-nonsense and in your face, or it can be subtle and gentle. Your inner child will be very responsive and sensitive towards the pictures of the cards, so consider working with a soft deck (perhaps with an angelic, storybook or animal theme). Consider working with decks such as the Inner Child Cards, Shadowscapes Tarot, Wisdom of the Oracle or Alice: the Wonderland Oracle. How can I nurture and support you more? What hidden gift do you carry? Once you pull your cards, pause and reflect on them. I recommend journaling briefly (or in depth if you have the time) about the cards you pull and what feelings, thoughts, and memories they trigger within you. I adore using the tarot and oracle for shadow work – they go hand-in-hand like peanut butter and jelly. The whole point of these wondrous cards is to draw up unconscious knowledge, and as you may or may not know, the unconscious is also conveniently the realm of the shadow self. Is it possible to directly communicate with your shadow self through tarot and oracle cards? Yes, I believe it is so long as you have a clear intention and focus. Decks I recommend looking into for doing shadow work include Deviant Moon tarot, Ceccoli tarot (if you are merging shadow work with inner child work), Dark Mirror oracle, and the Halloween oracle. What is my major blind spot right now? What hidden motives are behind [insert habit, goal or desire here]? What is my relationship like with sexuality? What is my relationship like with power? What is my relationship like with other people? What truth am I currently avoiding? What am I currently clinging to? What is holding me back that I don’t want to face? What am I projecting onto others? I could go on and on, but these questions will give you a good place to start. Once you have pulled a card or two, write down the cards you got and your reflections. Notice whether any anger, disgust, shame or fear is triggered within you. If so, this is a clear sign you’ve touched on shadow material. Hooray! Now it’s time to do some digging and introspection. Tarot and oracle cards are also wonderful ways to develop single-pointed concentration. Simply draw a card for the day, put it in front of you, set a timer (e.g. for 10-20 minutes) and gaze at it. While you are observing the card, focus simultaneously on your breath going in and out. Don’t try to interpret the card, simply notice the colors, faces, forms, emotion, shapes, etc. Let everything you see go in and out of your mind like clouds passing through the sky. Meditating with your tarot and oracle cards also doubles as a wonderful way of ‘getting to know’ your new deck (or deepening your relationship with an old one). Pathworking is essentially a technique that involves mentally projecting yourself into the picture of the card. This is done to gain wisdom, self-knowledge or solutions to problems. Pathworking can be used in conjunction with meditation (see above) or as a technique by itself. To begin pathworking, sit in a dark room, light a candle, and place it at the base of your card (but not too close as you don’t want it to become all crispy like a piece of bacon!). Breathe deeply, ground yourself, and focus on the card. Let your focus become gentle and soft. When you are ready, imagine yourself stepping into the card. Spend some time walking around in the landscape, noticing what the atmosphere feels like, and touching objects within the card. If a person, animal or other being is within the card, approach them and start a conversation. What information do they have to share with you? If they wish to take you to another place, listen to your gut and let yourself follow if you feel comfortable. Remember that you are in complete control and you can cease your pathworking whenever you feel the need to. Pathworking is a fascinating and effective way of gaining deep self-insight. While for some people this technique is difficult, for others (more ‘imaginative’ or dreamy types) it comes naturally. So experiment and discover the power of this practice yourself! Some of the most loving messages I’ve ever received have come through tarot and oracle cards – and many people have had the same experience. What I love about using tarot and oracle cards for deepening my self-love is how often they align with synchronicity. For example, I tend to pull the precise cards I need to learn from at the exact right time. It is these cards that give me goosebumps, make my heart burst open, and my eyes swell with tears. Again, this is not an experience unique to me, almost everyone who uses tarot/oracle cards will have at least one magical moment of heartfelt epiphany about themselves. To use tarot/oracle cards for self-love, choose a nurturing deck like Crystal Visions Tarot, Whispers of Love Oracle or Universal Love Oracle. Do a daily draw in which you pull a card each morning and reflect on it. You can even create a formal daily self-love practice in which you pull a card for the week and reflect each day on the various layers of the card and what messages it has to offer you. What do I need to appreciate more about myself? How can I be more gentle with myself? What do I need to nurture in myself right now? How can I protect myself more? How can I be more self-compassionate today? What do I need to forgive within myself? As with all inner work practices, keep a journal and record your reflections. Also, ensure that you practically apply the advice you receive. There’s no point pulling cards if you aren’t willing to make conscious changes in your life. Be practical and seek to ground the discoveries you make in your daily existence. I hope I’ve inspired you to explore this wondrous inner work tool – or apply it in a different way. There are a multitude of ways to use tarot/oracle cards so don’t see my suggestions above as the be-all-and-end-all. But I do hope the above practices help.